Howdy! One of the characters from that short film am doing with Leisl. 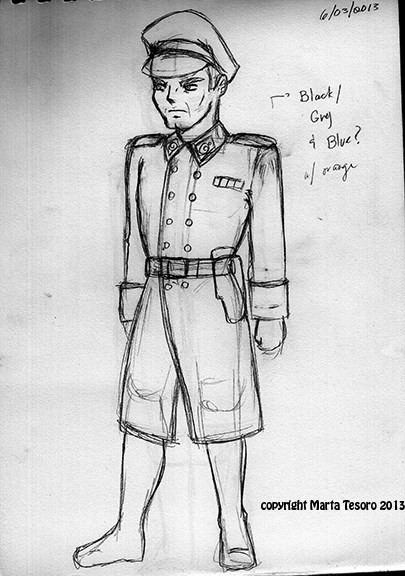 A rough character design. Am still trying to figure out the design of the unifrom...though am happy with the look of this character. See how we go as I still need to keep working on this and eventually do some colour tests too. This heatwave in Melbourne is disgusting. I hate it. I hate it so much. I want it to start being cold and freezing. I would be happy not to feel the heat of the sun for a few months.